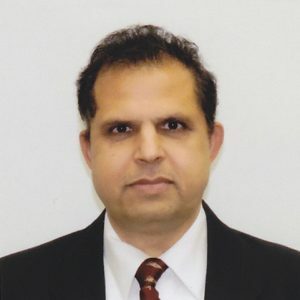 Drupal vs Joomla vs WordPress, The Best Open Source CMS for Enterprise Web Portals – Brijesh Kumar, Ph.D. There are tons of arguments in favor of each CMS and forums are full of discussions. This blog summarizes the core strength of each CMS, for someone not familiar with the strength of each CMS. At my company, we work with all three CMS platforms, our conclusion is that : All of the CMSes are very good, but they currently play to different strengths. What used to be a WordPress vs. Blogspot battle is now more like WordPress vs. Joomla & Drupal. The once relatively unknown, blogger platform has grown up and adopted a name for it’s self as one of the most user friendly content management tools, used by everyone from Bieber buffs to established businesses. In fact, WordPress is used by over 13% of the world’s 1,000,000 biggest websites as of 2011. 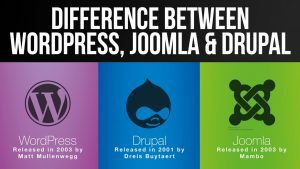 So what’s the difference between WordPress, Joomla & Drupal? What are the tradeoffs? What CMS is best for your business? It is widely known that WordPress is gaining momentum. Their main value proposition is the ease of use with the user interface and back end system. Drupal is widely known to offer a wide variety of features with their CMS system. Drupal is popular for its scalable potential and ability to grow with a business. WordPress, Joomla! and Drupal are similar because they offer the ability to add plugins for virtually anything from SEO to security, widgets and themes. A draw to this system is that there is no need for FTP access. Drupal’s myriad of plugins are very functional however they aren’t as easy to use as WordPress or Joomla, but they are more customizable. Joomla! and WordPress are both known for their user-friendly interface. Drupal, however may be able to last you a bit longer, but also take some time to master. For those looking for slick web design and creative plugins, Joomla! and WordPress take the cake. For those looking to optimize things such as load times and performance, while planning for the future, think Drupal. In this article, I’ll put my focus on the pros and cons that affect end users. Drupal, Joomla and WordPress are all CMS applications. These applications have become a “MUST HAVE” buzz word — most website owners want them without even understanding their use. Some website owners think that CMS applications are the key to a website’s success or believe that any popular CMS application is going to work for any project, any size or complexity — that is never the case. Most sites (especially businesses and institutions) will require unique Product, Services or Category pages. Although this can be accomplished by Drupal, Joomla or WordPress, it can be a tedious and time-consuming process. As of this writing, Drupal’s administration interface (version 6.19 – August 11, 2010) is confusing and not user friendly. There was research done by University of Minnesota Office for Information Technology’s usability lab which identified many usability problems with Drupal’s administration. Joomla’s administration usability and learning curve is better than Drupal’s, but not enough to provide a noticeable advantage to the end-user over Drupal. Also, many of the third party modules may not integrate and fit well with the Core modules, template or site’s look and feels. So I would recommend doing plenty of research on any third party modules before adding them to the application. If you need to build and manage a website (or multiple sites) with a significant number of pages and articles, and community features such as members that can provide comments on contents and articles, and will require some common functionality tweaking, and have a sufficient budget ($5,000 – $10,000 to setup and $1,000 – $2000 per month for maintenance), Drupal may be a good option for you. Reviewing someone’s project requirements should not be a 5 minute task. Depending on the size of the project, reviewing a project’s requirements and roadmap and providing technology selection advice should take a few hours. The other important thing to consider is that projects usually evolve based on a user’s feedback or business direction change, so it is important to select a technology that provides flexibility when a big change is needed. Unfortunately, there are advisers or IT consultants with little experience in actually managing a Drupal, Joomla or other open source CMS application, and they are making recommendations to use one of those applications based on the latest news and what’s trendy, without understanding their real capabilities, or analyzing your project requirements or budgetary limitations. We have many clients requesting that we build them a Drupal site just because whitehouse.gov is written in Drupal. One thing that these clients don’t realize is that the White House has a big available budget, financial resources, and a team of experienced web programmers available to manage, customize and maintain the Whitehouse.gov site. Wanna-be IT person – there are lots of wanna-be IT people who have not even used a CMS application (especially on a large scale project) but they want to provide their so called “expert” advice. Drupal / Joomla Specialist / Developers – of course those people will have a biased opinion because they will make a profit and will charge you for setting up and maintaining a Joomla / Drupal site. The more special requests you have or features you want to add, the more profit for them. People who just heard of the buzz – People that just like to pass along a new buzz word that they have heard in the high-tech industry or people that like to copy what others in their sector are doing, without much research before-hand. Some selected Drupal because of it’s incredible buzz and they thought that nothing can go wrong by selecting Drupal over any other CMS, because many well known institutions (with lots of money and a full web staff at their disposal) use Drupal. The site owner was told that if they use Drupal, they never have to hire a web developer or webmaster to manage the content. The client was told that adding features and customizing modules will be easy and can be done by himself. If we were to make a recommendation, I would tell a beginner to use WordPress, no question. The themes and plug-ins are diverse and numerous, and this is a very good starter CMS that can scale quite well into a more complex site. We would recommend Joomla for sites that are a bit more complex and are going to be managed by someone with stronger technical skills. For this type of situation, Joomla is perfect: plenty of extensions, easier to learn and enough templates to make site design worries moot. If We were building a much more complex site, though, I might turn to Drupal first. Though it’s harder to learn, it has much more flexibility to scale a site in terms of complexity. It also has the ability to scale up into very complex sites to be used for a variety of business needs.